Defiance has once again reared its head in a Senate hearing on the ‘tanim-bala’ bullet planting scam. 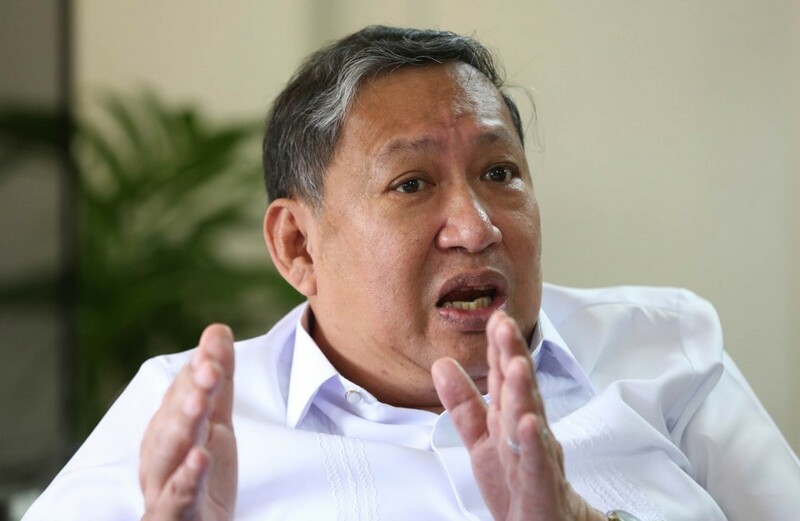 General manager Jose Honrado continually repeated himself as he was questioned by senator Ferdinand “Bongbong” Marcos. “What did you do about it?” Marcos asked. “Your honour, I’m not in the loop on the filing of the cases,” Honrado replied. “What did you do to look into the case? You did not look into the case,” Bong Bong asked again, in reference to the case of Gloria Ortinez, a victim of the scam. “No, I did not because I’m not in the loop on the filing of the cases…” said Honado. “It’s sufficient for you to receive a report that certain individuals were found to have bullets, allegedly found to have bullets in the bags? And that’s the end of the matter as far as you’re concerned?” Marcos asked. Honrado said as far as he was concerned, the Philippine National Police followed due process and it was reported to him. “If you have no control over the agencies in the airport, what is your job?” asked Marcos. “Your honor, it’s co-ordination…” pleaded Honrado. “But how can you co-ordinate if you can’t control?” the senator asked, noting that in the military, there was ‘command and control’. “You can’t coordinate without command and control,” Marcos added. “Your honour, there is none,” Honrado said, pointing out the “delineation on the legal mandates of every organisation”. “So you say that you have no responsibility for any kind of problem that comes into the airport?,” Marcos asked again. Responding to the senator, Honrado said his main job was to ensure the “smooth flow” of airport operations. I agree!! These people are imbecile!!! Those higher officials from NAIA should quit, or Nonoy should fired them, they are non productive to the economy but embarrassment and failure to society!!! Looks like he is retirable. Retire him now. He is part of the problem , take him out ! He should be held liable under the principle of command responsibility. He is imbecile, useless, worthless.